Above: BITS poster via the official website. 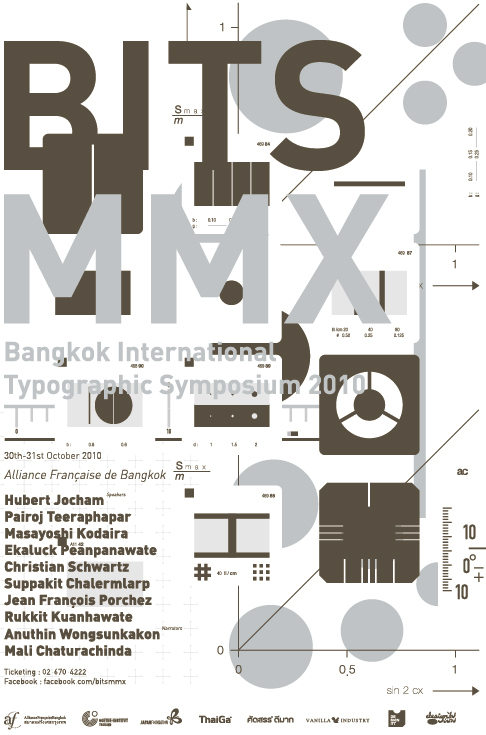 I am eagerly awaiting more news of this conference and its promising lineup of speakers and workshops. 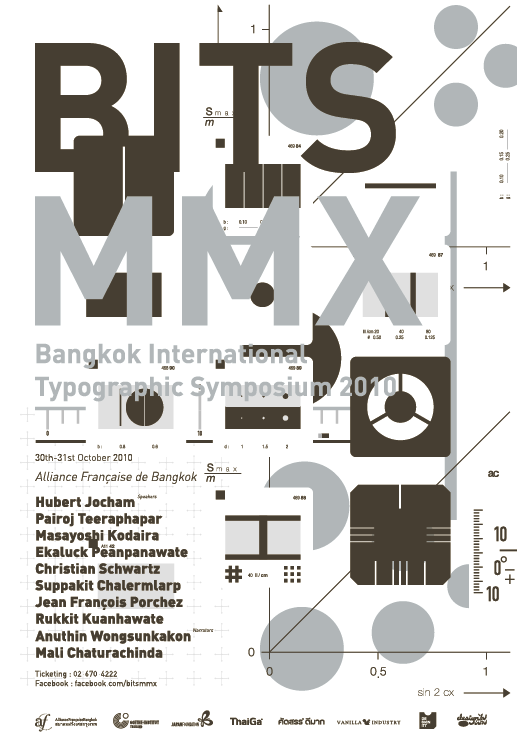 Follow along via the BITS Facebook page as the conference, set for Oct. 30-31 in Bangkok, has already begun with fascinating exhibits and warm-up events. For example, the Schrift in Form BITS event, see the FB album for more. This entry was posted by Erik Brandt on Thursday, October 14th, 2010 at 2:55 PM	and is filed under Aktuell, Education, Geotypografika, Globalization, Graphic Design, International, Internet, Musica Viva, News Links, Typografika, Typography.